What I needed was not a piano with sweet mellow sound. To express music by Rachmaninoff who was introverted and sullen, Prokofieff who was sarcastic and rebellious, Mussorgusky who was a retired soldier, ruined nobleman and clumsy alcoholic, I needed a piano that could express intense agony and sadness, sometimes aggressive and arrogant, and yet tender and magnificent scale of sound in its beauty. July 2006. The Piano, New York Steinway made in 1887, was placed on the stage of the Carnegie Hall for several decades since its opening in 1891. This vintage piano has been played by many legendary pianists there and, one of few pianos that Maestro Horowitz fell in love. 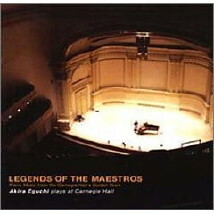 Recorded at Carnegie Hall in 2003. 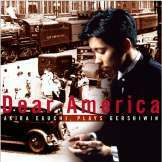 Selected as one of the best new released albums from Japanese recording magazine, Recording Arts September 2004. On September 11th 2001, New York City was stricken with terror. The twin towers of The World Trade Center collapsed, and, in an instant, thousands of lives were tragically lost. I cannot and shall not forget the sights, smells, and suffering that followed. 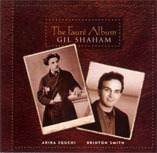 Selected as one of the best new released albums from Japanese recording magazine, Recording Arts September 2002. Including Schubert's "Fantasie", newly discovered Messiaen's "Fantaisie" and short pieces by Piazzola, Miyagi etc. 2009. 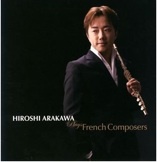 Flutist Hiroshi Arakawa recorded short pieces by various French composers. Each piece is accompanied by different pianists. 2008. 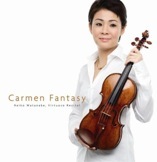 Waxman's Carmen Fantasy, Clara Schumann's Three Romances, Three Myths by Szymanowski etc. 2008. 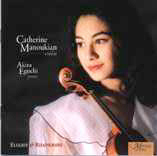 17 year old Japanese violinist's Debut album. Sonatas by Mozart, Prokofieff, and Ysaye.2008. 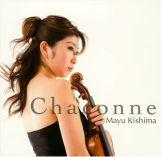 Debut Album of Mayu Kishima, overwhelmed by her passion and energy of the sound. 2008. The newest recording of Chee-Yun. 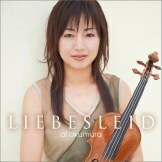 Selected as one of the best new released albums from Japanese recording magazine, Recording Arts 2005. American Show Pieces. I used a Square Piano ( New York Steinway 1872) for Ragtimes of Joplin. 2005. 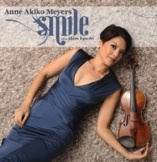 Popular short pieces for violin and piano. 2005. Kyoko's favorite short pieces. 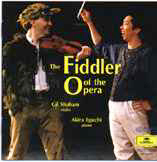 Suk's Love Song, Prokofiev's Waltz from Cinderella, etc. 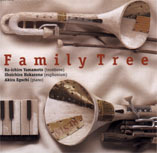 Selected as one of the best new released albums from Japanese recording magazine, Recording Arts 2003. Very first album from his new and own label. Sonata, Piano Trio, and many short pieces by Faure. His pure, beautiful sound really matches to Faure's music. 2003. Trombonist of Metropolitan Opera Orchestra (currently Principal Tromboninst of Seattle Symphony as of 2008) collaborates with the top Euphonium player of Japan. 2003. 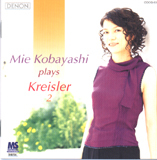 Her 2nd Kreisler Album. 2002. Beethoven Violin Sonata Op.12-1, Op.30-2, Op.30-3. Medalists of 1998 International Violin Competition of Indianapolis. 2002. Chee-Yun(Vn), Akira Eguchi (Pf), Mike Renzi & Ensemble, etc. Chee-Yun's Cross Over CD, details on the Diary 5/13. Available only in Korea. 2002. Sonatas by Debussy and Chopin, plus some French short pieces. It was recorded at the freezing cold NYC right before turning into the 21st century. All the staff members were complaining about the weather, although our playing was very hot!. 2001. Mitsuko Uchida(Pf), I Musici Enssemble, Sumire Kudo(Vc), Akira Eguchi(Pf)etc. Now the season of Classics! Super combination Album. 2001. 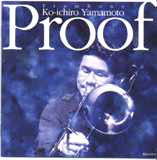 The 1st album of Koichiro Yamamoto, Trombonist of Metropolitan Opera Orchestra. Truly singing trombone!. Amazing wide range of dynamics. 2001. 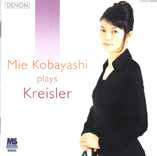 Her Kreisler has incredible shades of colors. 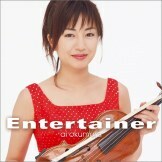 I feel her violin playing is not very modern stile, rather has the atmosphere of old legendary players. Great Kreisler player. 2001. 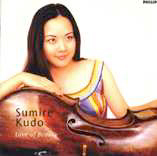 Debut album of a young cellist, Sumire Kudo. Joyful short pieces, Pampeana by Ginastera, Song of the birds by Casals, Polonaise Brillante by Chopin, etc. I personally feel this Chopin polonaise is not a PIECE, has quite big piano part actually. 2000. 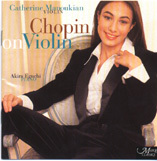 Pieces by Chopin, arranged for Violin and Piano, selected by herself, the great Chopin lover. 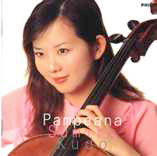 She played Cello Sonata on violin. A lot of newly arranged pieces including Etudes, Waltzes, Nocturnes. 1999. 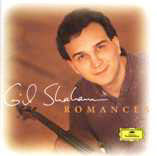 A debut album of a young violinist from Toronto. 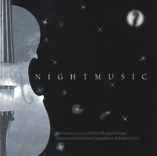 As the title describes, this is an album of melancholic and passionate short pieces. We hardly have chance to hear the Ysaye's Poeme Elegiaque at concerts. 1998. Including the great demanding violin sonata. 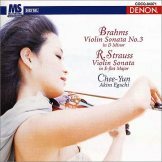 This sonata is Brahms-like very heavy profound music as his violin concerto. It should be played more. 1998. 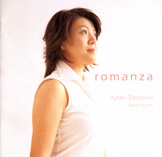 This Korean Version of Romance includes one short piece with piano accompaniment called Sarang. 1997. 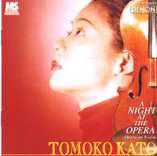 Mellow and Charming arrangements of Opera areas. Summertime arr. by Kazunori Maruyama is the one you must listen. 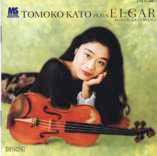 On Hendel's Largo, Tomoko plays recitativo on violin respectfully. I played on two pianos, Bechstein and Ny Steinway to match the sound to the character of the pieces, by courtesy of Takagi-Klavier. 1997. Chee-Yun(Vn), Atlanta Symphony Brass Quintet, Constantin Lifshitz (Pf), Akira Eguchi (Pf), etc. 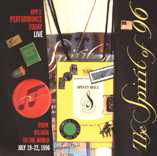 This is the live recording from the radio show held at Atlanta on the day before the '96 Olympic Opening Ceremony. Believe or not, Chee-Yun and I played Jazzy 'Georgia on My Mind'. Must listen! 1996. Szymanowski's sonata is not often played at concerts but it is quite passionate and beautiful music. 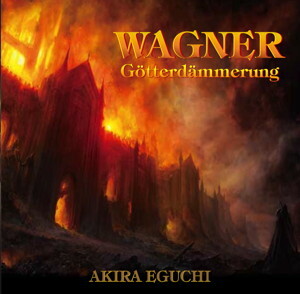 This is one of his early period works and somehow influenced by Chopin. 1995. 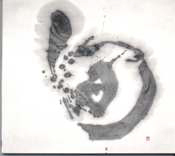 Various short pieces from live at Indianapolis International Violin Competition in 1994. 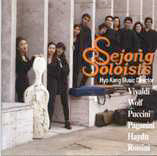 Chee-Yun's very first CD. 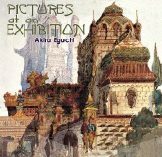 A charming album of short pieces. Bernstein-Penaforte's Westside Story was exclusively arranged for her. 1993. Three Sonatas by French composers, Faure, Debussy, and Saint-Saens. 1993.